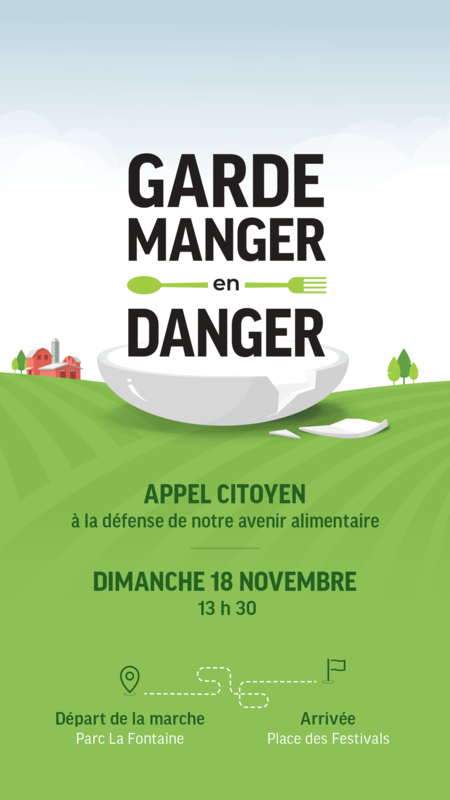 In the wake of the concluded United States-Mexico-Canada (USMCA) Agreement, the Union des producteurs agricoles is holding a citizens’ march at 1 p.m. on Sunday, November 18 in the streets of Montreal. Les Producteurs de lait du Québec will actively participate in this event, whose aim is to demand that governments protect and promote local agriculture and food products. Bus transportation will be available in each region. Check the list of bus departure times and locations to reserve your seat and view the itineraries. the form must be filled out to reserve your seat. Visit the microsite and the Facebook event for all the details. Participate in large numbers and invite your families, friends and partners to join you!